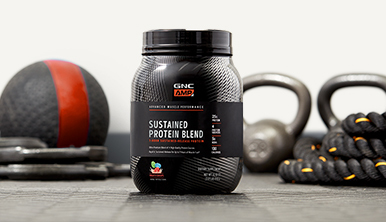 Understanding the difference between whey and casein is the first step in choosing which type of protein might be right for you. The next step is to figure out when to incorporate GNC AMP proteins into your meal plan. 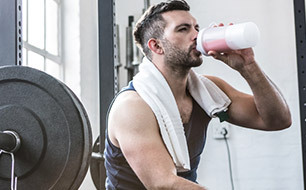 Current data suggests that the dietary protein intake necessary for protein turnover and to support metabolic adaptation, repair and remodeling generally ranges from 1.2 to 2.0 g/kg/day.1 Higher intakes may be helpful for short periods of intense training, or when total calorie intake is reduced. However, there is more to it than simply meeting your daily gram requirement. When to eat your protein is just as important as how much you eat in a day. Eating too much protein at one time can leave you feeling full, resulting in less room for other necessary nutrients. Eating too little protein can lead to muscle protein breakdown, or limit your ability to build new muscle tissue. 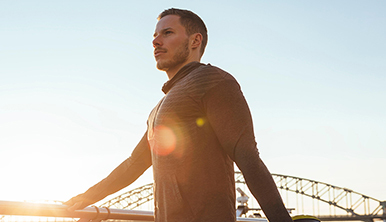 To make sure you get the most out of the protein you eat, it’s helpful to follow a meal plan that spreads moderate-amounts of high-quality protein across the day, including the minutes following strenuous exercise sessions. Aim to eat a similar amount of protein at breakfast, lunch and dinner—as well as incorporating a moderate amount with snacks. The guide below shows how an athlete training at high intensity—four or more times a week for over 45 minutes; strength training and/or strength & cardio training combined—can strategize their protein intake based on the timing of workouts to maximize muscle protein synthesis. Breakfast Include a balance of carbs, protein and fat. Enjoy with a piece of fruit! 1 Thomas DT, Erdman KA, et al. Position of the Academy of Nutrition and Dietetics, Dietitians of Canada, and the American College of Sports Medicine: Nutrition and Athletic Performance. J Acad Nutr Diet. 2016 Mar;116(3):501-528.